Earth Diggers are more than just soil movers. We are also proficient in the laying of irrigation in garden areas, as well as installation of pop up sprinklers, spray lines and any other irrigation needs. Now a day’s garden is also an important part of the house and when it is maintained properly, it can do wonders. Earth diggers are not only just soil movers but can also do garden irrigation. We have the most experienced team members who are well equipped and can give your garden that perfect look which you have always desired. 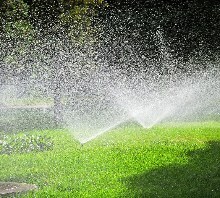 Garden Irrigation is important and it gives the house a modern look. We also add sprinklers to the garden and adding it is important because it is very efficient and versatile. Modern sprinklers operate on a very low pressure but will discharge more water in a particular time. These sprinklers use very less water and thus shorten the wastage. We are based in South Australia and Adelaide. We are a family owned company and people living in these areas can call us to get free quotes regarding their requirements. The best part is our team members are experts in garden irrigation with years of experience. We have a wide range of options in laying irrigation and can also install pop up sprinklers and spray lines. Our packages are designed to take up and dig or small projects, we have solutions for all. We tend to tailor our services according to your requirements. We provide the most cost effective rates in business and unbeatable services.